I need some guidance. I’m a senior expecting to graduate this coming May with a degree in sociology. I’ve already been accepted into UCSD to get a master’s degree, which means I’ll be moving fairly soon after commencement. My parents are helping me research different places to live, but I’m also looking for other tips and recommendations. As my sister said, “You have to try all sorts of new things you couldn’t do here!” She’s right, but there are almost too many options. I’m looking for a balance of variety and reasonable pricing since I won’t be making too much money as a grad student. What are some viable possibilities in the area? 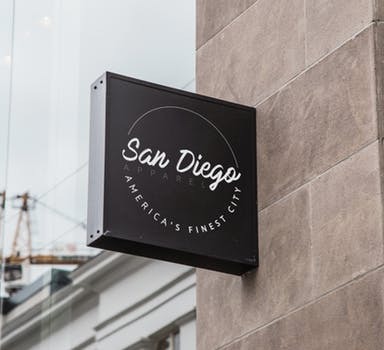 San Diego has a great reputation that certainly precedes itself. One lifestyle writer at Thrillist sheds some light on what you might expect while living there. Another author at The Odyssey chronicles things a bit more realistically. The only way to know for certain what to expect is by experiencing it yourself, but rest assured: there’s likely no shortage of great opportunities. San Diego has great sights that you can see for free. Balboa Park, which houses many great museums, a world-class theatre, and gorgeous gardens is also a beautiful place to simply walk through. There are plenty of walks along the waterfront, where you can see 200-year-old ships as well as modern sailboats. Coronado Island offers a great day out of shopping and putzing, and there’s a beautiful historic hotel. The consistently temperate weather typical of the regional climate, combined with the metropolitan setting, means that you have a wider array of possible extracurricular activities. Outdoor enthusiasts have the most to celebrate, since almost anything can be enjoyed outside. You might consider options like rollerblading, cycling, mountain biking, or longboarding if you have a need for speed and a penchant for land cardio. You could dabble in beach volleyball and frisbee. And then there’s surfing, which might sound too cliche, but what better way to appreciate the Pacific Ocean? Check out beaches like Pacific Beach, Ocean Beach, Coronado Beach, and La Jolla Cove, which is near UCSD. Hiking, climbing, skiing, and snowboarding are also options to you during the winter. California has several worthwhile mountain resorts you could explore with the help of commercial and public transport. There are also more singular activities to explore. For instance, yoga, meditation, and martial arts often blend the physical with the mental, emotional and/or spiritual. It’s also important to remember that each activity might have multiple subcategories to further investigate. Take martial arts as a case in point. Groupon published a helpful guide briefly introducing ten of the most popular styles of martial arts. That’s a good place to begin, but you should pay especially close attention to how each style manifests physically. You can thank contributor Robert Rousseau at ThoughtCo for making it so easy. It would be worth reflecting on the appeal of Jiu Jitsu versus others like Judo, which can sometimes be confused or conflated by outsiders. As you might also imagine, all of these options are associated with different investment costs and other barriers to entry. Like almost anything else, it’s probably best to prioritize options based on appeal and budget. You should test the ones that don’t require much money or previous knowledge. It’s possible that some of the activities are offered for free through UCSD. That would be the ideal scenario for any activities that might otherwise cost too much to reasonably undertake. For instance, UCSD houses The La Jolla Playhouse and one of the top MFA acting programs in the country. Student plays are reasonably priced, and you may be able to get a student discount to the professional shows. And don’t forget to explore opportunities that exchange volunteer service for access. They can often be a great compromise.